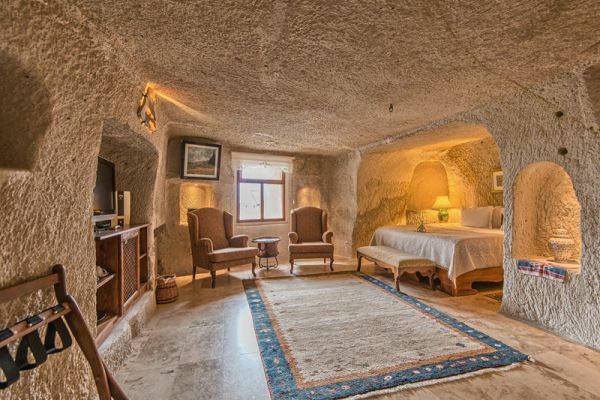 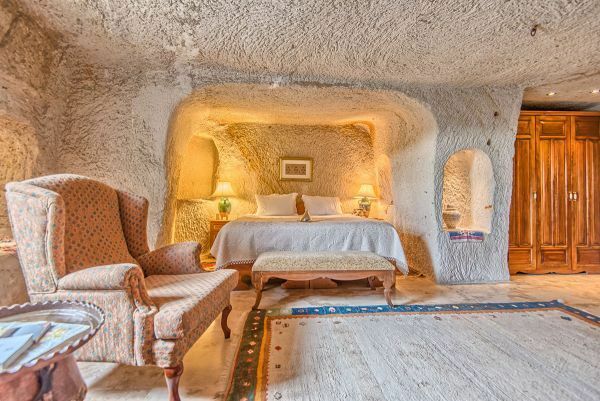 Elegant Cave Suite is situated at the end of a cave tunnel, with its entrance door opening into the bedroom. 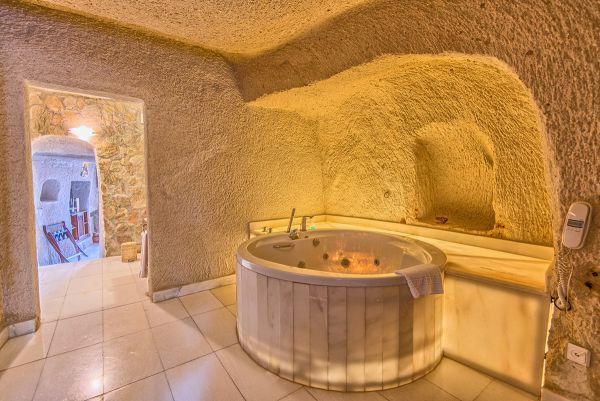 The bathroom and the romantic Jacuzzi room can be reached using the passage to the right of the dressing area. 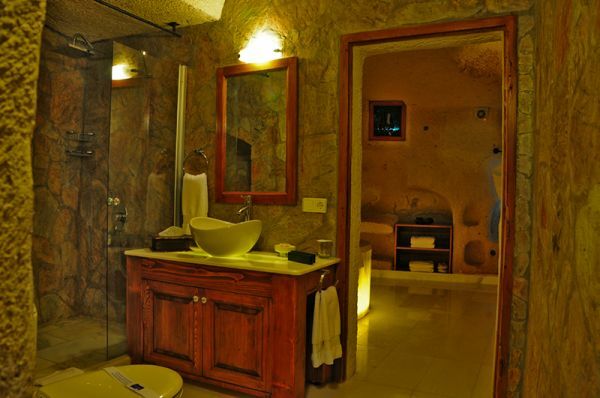 The rich decoration has been done with utmost care by combining luxury and traditional elements.